Following Okayama University becoming the first national university to be selected by the U.S. Department of State as a partner institution for the Critical Language Scholarship (CLS) Program, President Hiroshi Makino and Vice President for Global Engagement Strategy Atsufumi Yokoi visited the US Department of State and American Councils for International Education on December 13 and 14 last year. 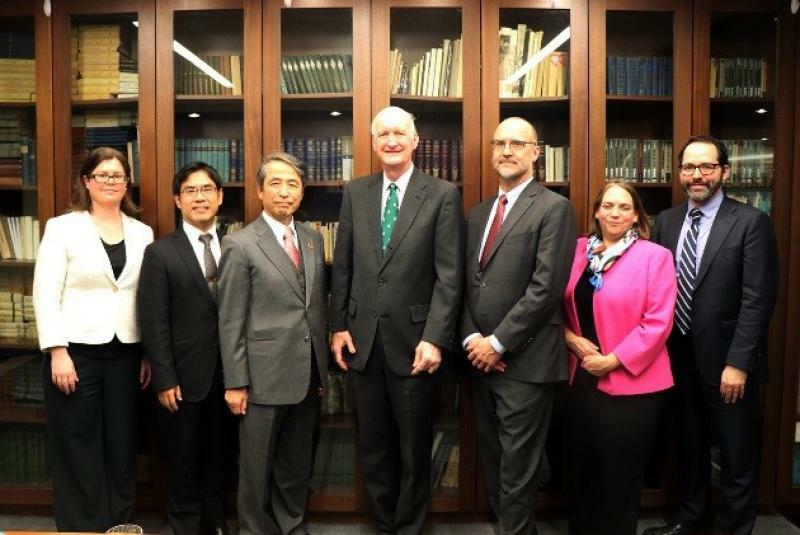 The CLS Program is designed to enable 26 leading American undergraduate and graduate students selected from all over the nation by the US Department of State to learn Japanese and Japanese culture intensively for eight weeks. This visit was held as a kick-off meeting after our university was chosen as a CLS partner organization with the aim of strengthening relationships further with the US Department of State and the American Councils. 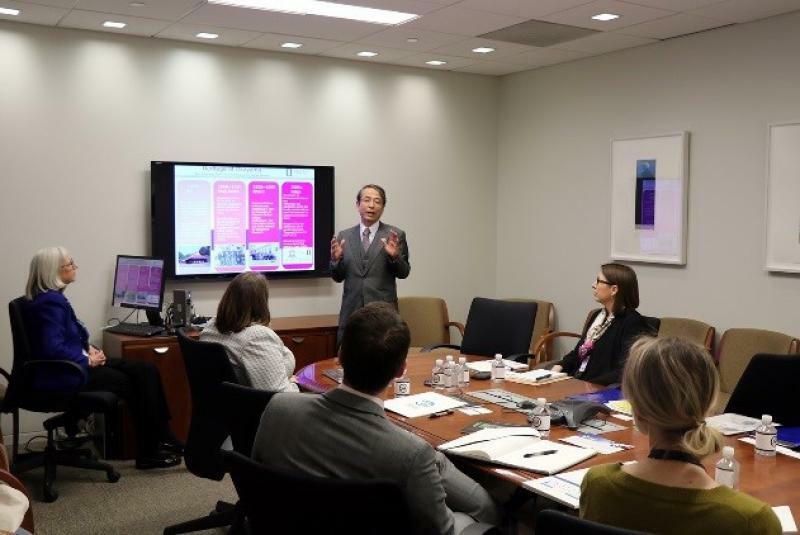 On the first day, President Makino and Vice President Yokoi visited the headquarters of the American Councils for International Education. They reported to CLS Project Director Jeanette Owen and other staff members that our university had been formally designated as a host university and agreed with them to promote cooperation in project management and program implementation. After that the president and vice president visited the U.S. Department of State. 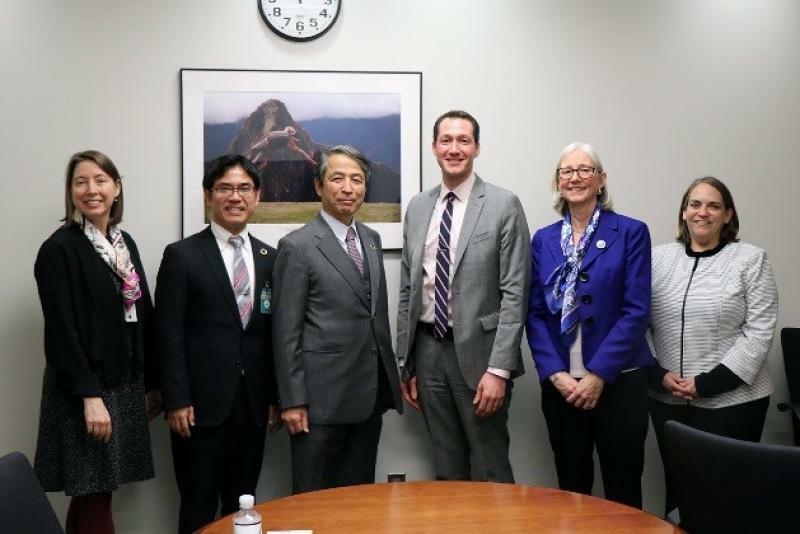 At the department they met Program Officer Carol Radomski and other officials of the Bureau of Education and Cultural Affairs (ECA). On the following day, they held a meeting with executives of the American Councils, including President Lorne Craner and Vice President David Patton. 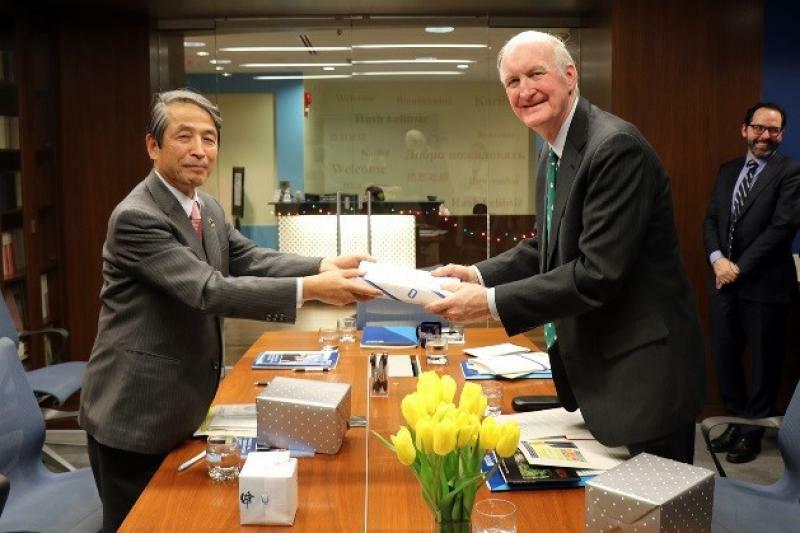 Vice President Yokoi explained about the proposal of memorial symposium for the 70th anniversary of the establishment of the University of Michigan Okayama Field Station, the only U.S. facility for Japanese studies established in Japan, and both sides agreed that they would hold the memorial symposium as a kick-off conference for the CLS Program at Okayama University.